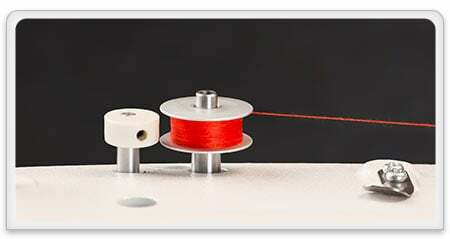 Built–in stitch regulation keeps your stitch length consistent, even as you speed up and slow down. 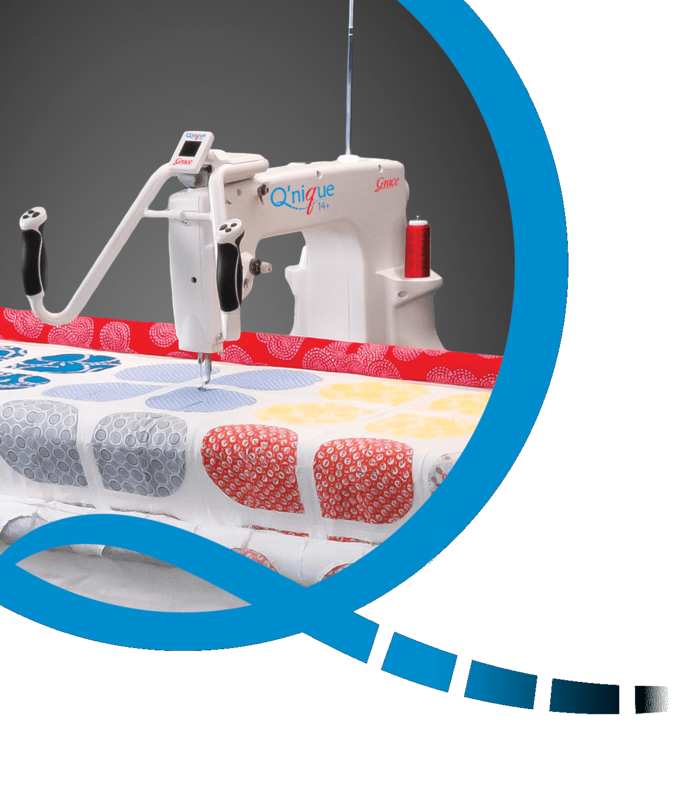 The Q'nique 14+ quilting machine features four different sewing modes, all conveniently displayed on the easy to use OLED screen. All of the most important quilting functions and settings can be changed and are seen right on the display! So you will always have quick access to stitching mode, stitch speed or stitch length, and needle position. 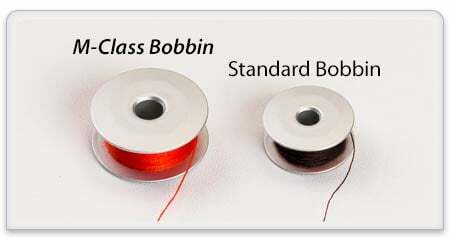 The included bobbin winder on the Q'nique Quilter runs its own separate built–in motor, so you can refill bobbins without having to run the sewing machine. 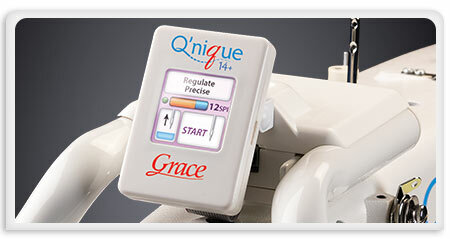 The bobbin of the Q'nique quilting machine has been designed for easy and quick access. 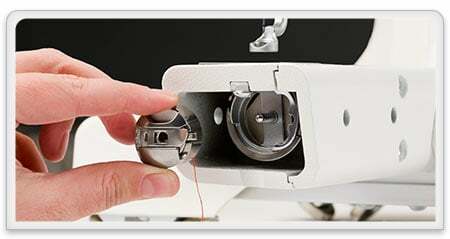 Changing or checking on your bobbin is now more user–friendly than ever. We designed the control of the quilting machine to be as quilter–friendly as possible. All major functions and settings can be controlled right from the handles and seen on the full–color display. 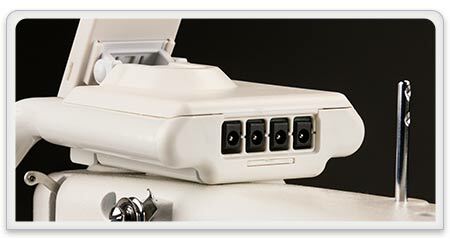 Multiple accessory ports let you attach convenient sewing machine add–ons. Each port provides power to the accessory you plug in. 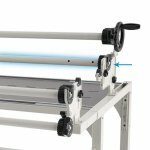 For over 30 years, the Grace Company has produced some of the finest machine–quilting frames available. 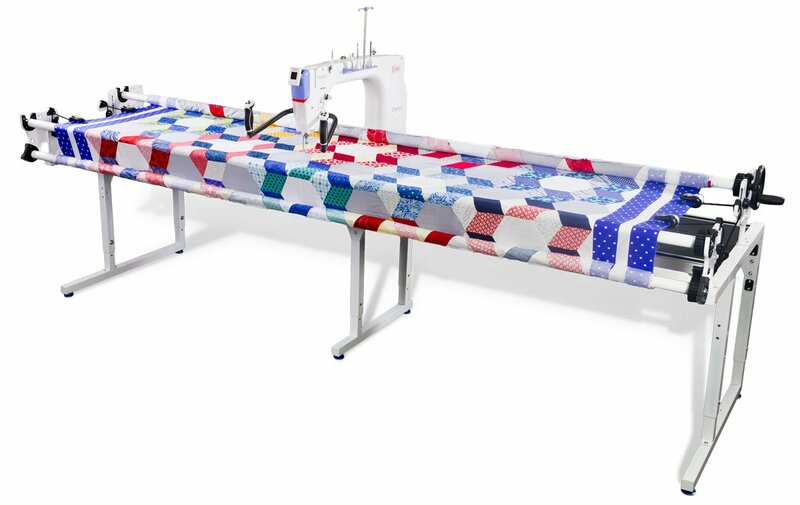 Now the Continuum combines some of the most sought after features into a modular system that’s available for quilters of every level and nearly every sewing machine type. With steel and cast–alloy components, the frame is one of the sturdiest and longest–lasting frames ever designed. This modular frame has many available configurations and accessories. This is a no–baste frame designed to make your quilting projects easier, more convenient, and more beautiful. The frame is available in standard 8 foot or 10 foot sizes.